We believe that contests and giveaways should be fun. You shouldn't have to jump through a bunch of hoops to have the chance to win something. We don't believe you should have to "Like, Subscribe and Share" anything to be eligible to win something. You shouldn't have to follow us on "Twitter or Facebook" or like a sponsors page. Contests and giveaways are simple, use the contest@hypothermia.us email with the name of the prize in the subject line and that's it. Your email address will never be stored, sold, traded or shared with anyone...ever. You can enter once a day for as long as the giveaway runs, multiple entries will be deleted. Patreon backers get an automatic extra entry each day. We use a random number generator to pick the winners. It really is that easy. January 2019 Hypothermia + Patreon Giveaway! GeForce RTX 2080 Ti Autographed By Jensen Huang! 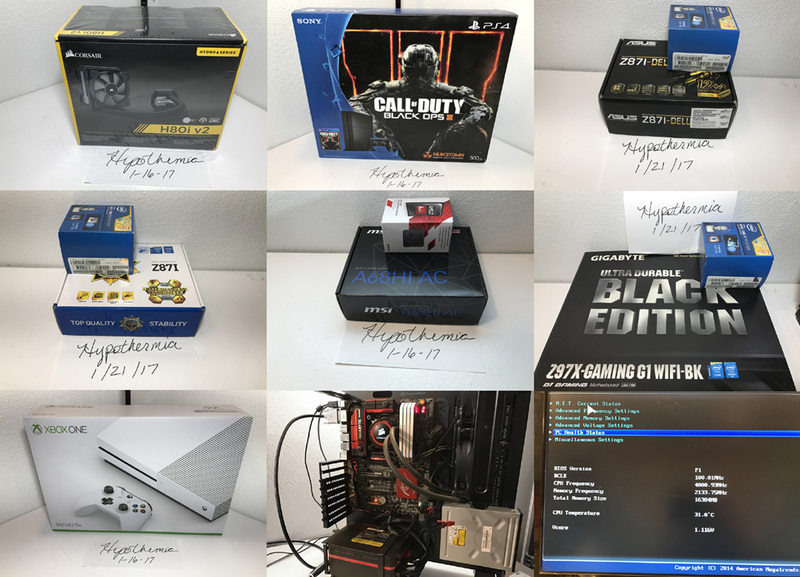 Lemons Into Lemonade Intel Upgrade Package Giveaway! Quake Champions Champion Pack A Day Giveaway! Combined Hypothermia + Patreon Giveaway For August! be quiet Dark Base Pro 900 Rev.2 Giveaway! Combined Hypothermia + Patreon Giveaway For July! Combined Hypothermia + Patreon Giveaway For June! When I reopened Hypothermia earlier this year, I told you we would have frequent giveaways as a way of giving back to our readers while promoting the site at the same time, so I wanted to give you guys a peek at some really cool prize packages that I have put together that think you will really like.